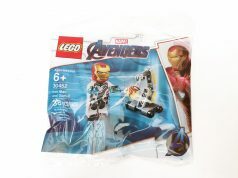 darth_tater over on Eurobricks has revealed the first wave of the 2014 LEGO DC Universe Super Heroes sets. 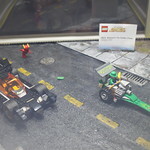 There are no images except for The Riddler Chase (76012) as of this time. There are four sets in this wave and will be available late this year/early 2014. The Penguin Face-Off (76010) – Minifigures include Batman, the Penguin, and two robot penguin henchmen. Batman comes with a jet-ski type vehicle and the Penguin has a duck-like flotation vehicle like the one in Batman Returns. This set is the smallest set of the wave. 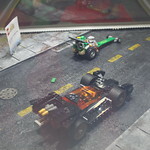 Man-Bat Attack (76011) – Minifigures include Batman, Robin, and Man-Bat. 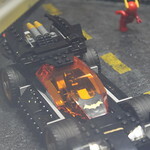 Batman’s vehicle is a Batcopter looking vehicle. This is a small-to-medium sized set. 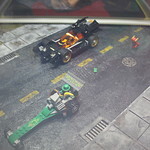 The Riddler Chase (76012) – Minifigures include Batman, the Flash, and the Riddler. 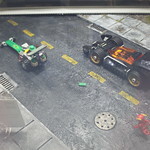 Batman has a Batmobile and the Riddler has a green drag racer type vehicle. 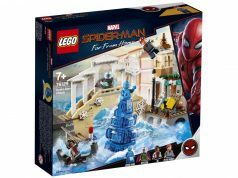 This set contains 304 pieces and will retail for $29.99. See more images below. 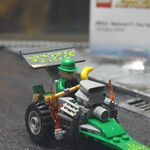 The Joker Steam Roller (76013) – Minifigures include Batman, the Joker, a possibility of Nightwing, and two other villains. Batman has a jet with wings that have similar functions as the Republic Striker-class Starfighter (9497) . The Joker has a Steam Roller with a lot of colors. Thanks to Groove Bricks for the heads up. 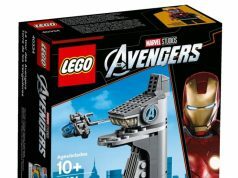 Update: Rich over at Brick Fanatics reports that we will probably be seeing the Green Lantern minifigure in 2014. 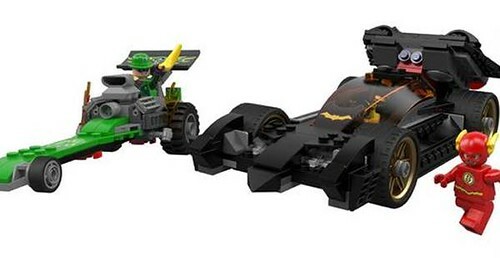 If that’s the case, then it’ll most likely be in the The Joker Steam Roller set since there was an unidentified hero from earlier reports. 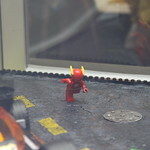 The Green Lantern minifigure was first seen when it was given out to lucky fans at the 2011 San Diego Comic Con to promote the DC Universe Super Heroes line.